We are peanut butter lovers. Peanut butter on some homemade sourdough with a little touch of jam or honey is a fairly common breakfast around here. The idea of incorporating that peanut butter in the bread itself has been with me for a while. I haven't quite figured out how to make it sourdough, yet, but I did indeed come up with a lovely and lightly flavored yeasted peanut butter bread. There's nothing fancy about this bread. Bread is always the simplest ingredients and yet they come together into something that is always delightful. 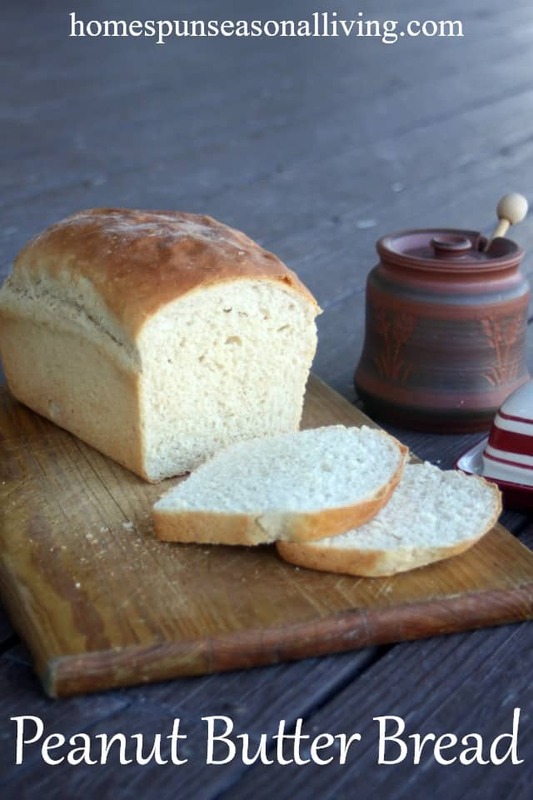 For an experienced bread baker this recipe will be very easy and the novice baker should find it more than doable as well. This peanut butter bread toasts up amazingly. The smell of the peanut butter as it toasts will fill the house and is just wonderful. It gets wonderfully golden and crunchy in the toaster making it perfect for a quick breakfast. 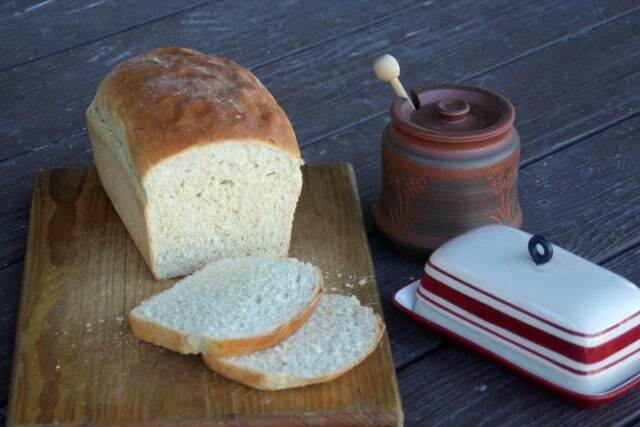 This bread would be great in a gift basket alongside a jar of homemade jam. A jar of honey or even some more peanut butter would also be perfect. Increase the flavor of your morning toast with this easy to bake and oh so delightfully flavored yeasted peanut butter bread. Dissolve the yeast in the warm water until foamy. Add the honey, eggs, peanut butter, and salt. Whisk well. Begin adding the flour a bit at a time, mixing until a soft dough forms. Turn the dough out onto a floured board and knead until smooth and elastic. Put the dough into an oiled bowl and cover with a towel. Let rise until doubled. Punch down the dough and divide it into 2 equal halves. Knead each half into a loaf shape. Grease 2 9 X 5” bread pans and set the loaves inside. Cover with the towel and let rise until about doubled. Bake loaves in preheated oven for 40 minutes or until golden brown (the loaves should sound hollow when tapped with a knuckle). Remove from the bread pans, immediately. Cool on wire racks before slicing. You know what else is good? A peanut butter & tomato sandwich, especially on toast! Since you love peanut butter, I’m quite sure you’ll love this too. I wish tomatoes were in season right now, that sounds so good. I love peanut butter. Love. This sounds delightful. I’m sorry I don’t know. I’ve never tried.